"Enjoy your sleep while it lasts!" "Just wait until that baby comes out, you'll trade your soul for four solid hours of sleep." If you've been pregnant or expecting, then those words have been said to you more times that you can count. Thanks to all the 'advice', you anticipate nights when you won’t get a wink of sleep. It comes with the territory of parenting… right? Except, it's not easy. At all. No friggin' way could anyone prepare you for the zombie days and wide awake nights that follow childbirth... and beyond. Some of us know better than others how long, and exhausting months and years of days running on less than four hours of sleep can be. Sleep promotes growth-A growth hormone is released during the night which helps your toddler to grow healthy and strong. Sleep improves attention span Children who are sleep deprived are likely to be more impulsive and distracted than a child who gets at least 10 hours of sleep. Sleep boosts learning There is believed to be a direct connection between sleep and learning. When asleep, the child’s brain is working, learning, and retaining information. Children who get a good night’s sleep are able to grasp concepts and retain information better than those who don’t. Improper Bedding – Just as you wouldn’t want to sleep on an old, hard, mattress, your toddler is not going to sleep comfortably through the night on a mattress that doesn’t provide enough comfort and support. Check your toddler’s mattress and determine whether you should invest in a new one. Service providers like Moonlight Slumber make it easy for parents to review and purchase baby mattresses online. Poor Eating Schedule – Eating right before bed can lead to a lot of digestive issues for adults, so imagine what it can do to your toddler? If you find that your toddler is waking up frequently throughout the night with complaints of a tummy ache or gas, you may need to adjust their feeding schedule. Try feeding them a few hours before bed to give their food a chance to digest. Too Many Distractions – Noises, siblings, pets, and other distractions can cause your toddler to fight sleep. When it’s time for them to go to bed, consider a winding down period where the household isn’t so active. 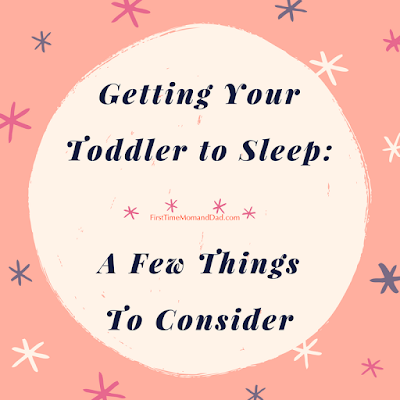 Go into the bedroom, dim the lights, turn on some soft music and sort of get your toddler in the mood for bed. Too Many Naps – Trust me when I tell you I know how much of a godsend a nap can be in the middle of the day. However, if you’re allowing your toddler to nap too long or too frequently during the day, chances are they’re going to have a hard time staying asleep through the night. As crazy as this might sound, encourage your toddler to stay active throughout the day for a better sleep at night. Room Temperature – The temperature in a room can make all the difference in your toddler’s ability to get and stay asleep. When a room is too hot or too cold, they become uncomfortable and wake up frequently. Try to make sure your toddler’s room is at a comfortable temperature and also that you dress them in something comfortable to prevent discomfort. Ultimately, getting your toddler on a consistent, age-appropriate sleep schedule is the key to getting them to sleep through the night. Routine helps your toddler to adapt and makes bedtime a lot easier to deal with. Creating a safe and comfortable environment for your toddler to sleep in and remaining consistent with sleep times and routines will eventually break the cycle and help them sleep peacefully through the night.